In the expression, Everyday Matter there is the significance of ordinary materials, but also that every day has a meaning. 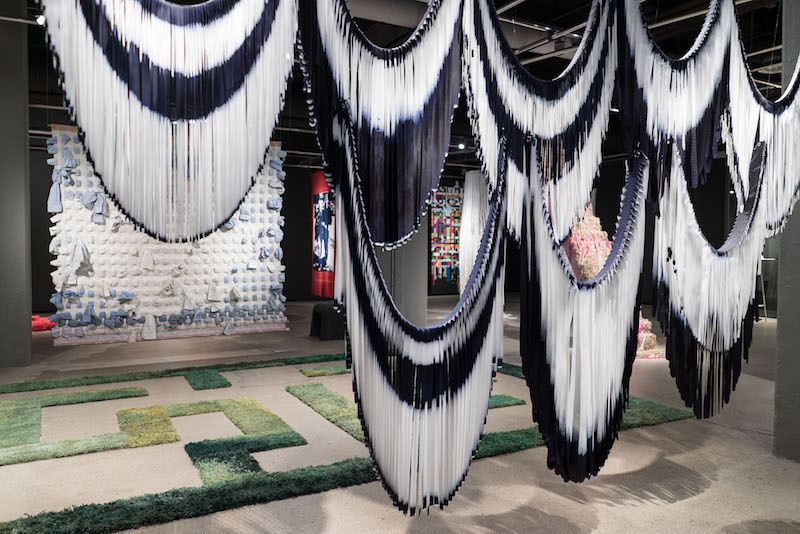 In the exhibition, we can see how every artist relates to the theme in different ways. 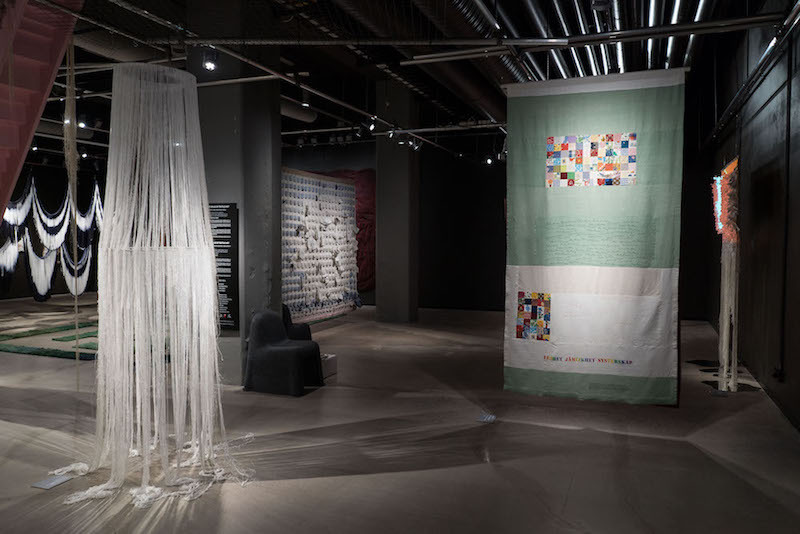 The exhibition also shows the rich world of textile art – The Value of Textile Art. 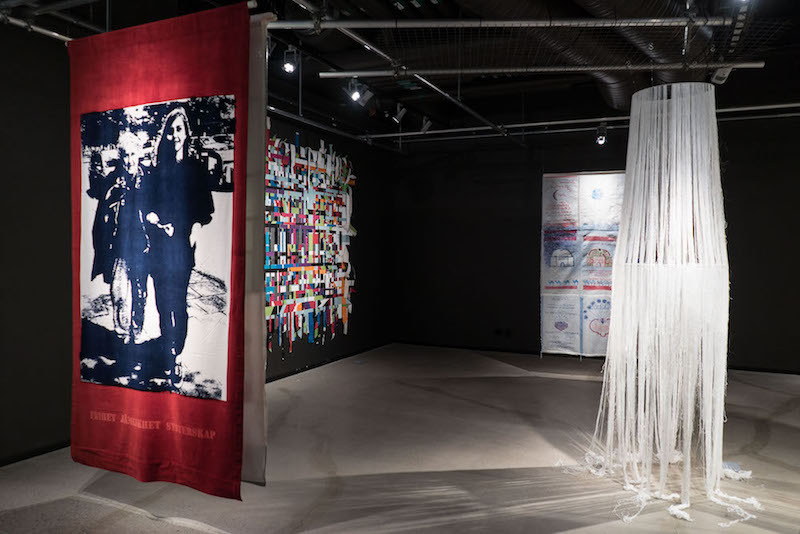 The exhibition is produces in connection with CROSSOVER BORÅS 2017, the XVIII conference of the European Textile Network, ETN. Elsa Aguélii (SE), Emelie Röndahl (SE), Bryndis Björgvinsdóttir (IS), Kari Hjertholm (NO), Kerstin Lindström (SE), Ásta Gudmunsdóttir (IS), Elisabeth Brenner Remberg (SE), Vibeke Lindhardt (DK), Aino Kajaniemi (FI), Løvaas & Wagle (NO), Ulla-Maija Wikman (FI), Linnea Blomgren (SE), Grethe Witrock (DK), Laura Isoniemi (FI), Raija Jokinen (FI), Josabet Werkmäster (SE), Ane Henriksen (DK), Silja Purinen (FI), Helga Palina Brynjolfsdóttir (IS).